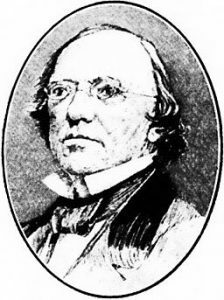 Though perhaps less well-known today than some of Union Seminary’s recent faculty, Edward Robinson (1794-1863), whose papers have recently been processed by Rebecca Nieto, played several important roles in the early life of Union and in the broader world of biblical scholarship. A founding member of the faculty, Robinson was Union’s first Professor of Biblical Literature and served as librarian during the seminary’s uncertain first decade. Near Eastern archaeologist J.B. Pritchard — whose Ancient Near Eastern Texts (ANET) will be familiar to contemporary seminarians — lauded his contributions to “Palestinology” in his landmark works, Biblical Researches in Palestine, and Adjacent Regions and Physical Geography of the Holy Land. Robinson was also responsible for coordinating the acquisition of the approximately 14,000 works that comprised the original Union library. In 1838, while on a major trip to the Holy Land, he arranged for the seminary to purchase a large collection of books from biblical scholar and erstwhile Benedictine monk Leander van Ess. Today, that Burke Library collection remains a unique and important resource for scholars of fifteenth and sixteenth continental Europe, and contains many beautiful medieval manuscripts. One of the most ancient sections of the present Temple Mount in Jerusalem is named for his work there. “Robinson’s Arch” is the remnant of a first-century structure located at the southwestern corner of that historic edifice and would have been a major point of entry to the upper temple complex. 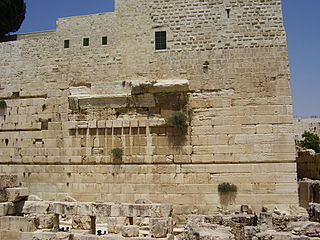 Over the past decade it has sometimes been used as a controversial alternative site of worship to the traditional Western Wall. This entry was posted in Collections on February 17, 2017 by Matthew Baker.